Very nice. The detailing looks excellent. I need to decide on which train I'm going to buy. I'm leaning toward getting the same green train as you. I made a lot of "unplanned" purchases this month, so I'll probably sneak it in next month. Minitown revamped DF11 has been released, they come with nmra 8 pin plugs and round speaker space built into the fuel tanks. I'll be ordering one as soon as I have the money. Are there coaches to go with it? Not from minitown at the moment, but the CMR YZ22 and Kunter 25 class coaches will go well with the model. I really like the look of the bilevel cars, I hope they'll be available when I have the money to get more passenger stock. I was thinking originally of buying those Kunter coaches with the red/white loco in this video. Your green train is tempting me to switch gears. But I think eventually I'll by both locos and both sets of coaches. I just LOVE the sound of Chinese. I really need to get back to it. Even this choppy automated Chinese sounds beautiful to me. Me too. I think there's going to be a LOT of Chinese trains on the market soon. It's an exciting time to get into the market as it's really starting to flourish. Here's another video. It has a few prototype pics at the beginning. It looks like they are mainly modeling the trains around Shenzhen/Guangdong. That makes sense as that's where these trains are produced. I'm hoping to see some Nanjing area trains soon, as that's likely where I'll visit first. Speaking with some modelers over facebook, I was directed to this taobao seller which sells decals for various items, including some HO sheets for chinese railways which include small enough logos to go on N scale trains! They had a JGR 9600 steam loco which they had decaled for chinese state railways. Those of us interested should get together and do a bulk order sometime. 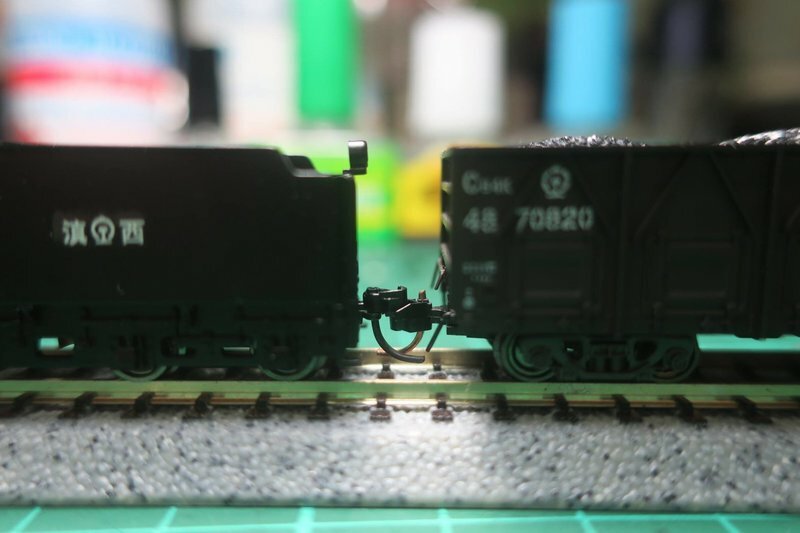 Is your Chinese loco builder's plate cast iron or aluminium? If cast iron, a dinkum plate off a loco, if Aluminium, a replica. The Chinese characters read 'Datong Locomotive Works (or factory)'. Unusual for builder's plates, no builder's number, only a year date. Probably so us Outer Barbarians don't know how many locos were built! Can't remember if these plates were handed, or whether they were the same on both sides. The upper L.H. image, that looks like a steam loco, is of interest. The loco smokebox front is a stylised version of the character 'Ren', of 'Renmin' meaning 'people', and the rail cross section means 'railway', so this image means 'People's Railway' which was an early name for the system. This design of plate follows closely that of those used on locos in the Soviet Union, and was probably adopted when China and Soviet Russia wee good friends. Minitown has done it again, this time an amazing model of the DF11z. The detail is unreal for an N scale loco, just wish I didn't have to find all those 25 class coaches to go along with it! 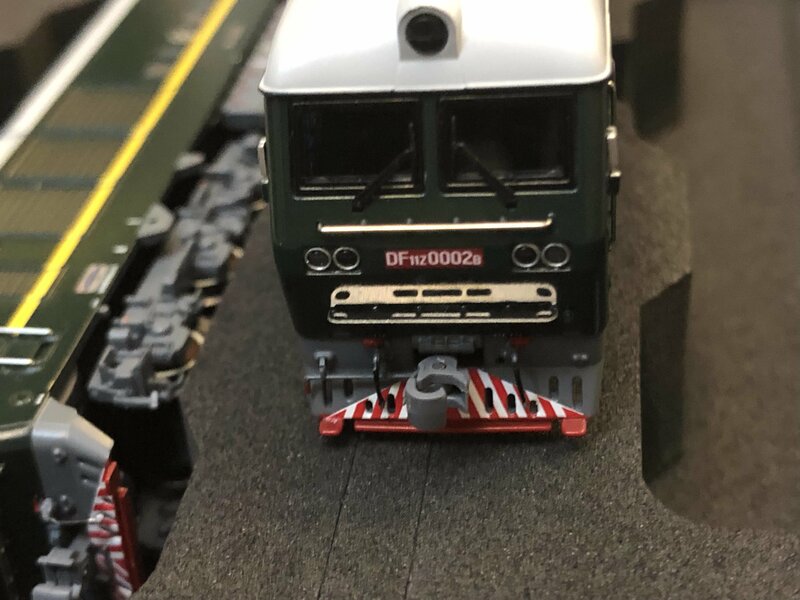 Also coming soon some NX17 china railways flat cars. Its great to see that the market for Chinese N gauge models is still growing! How does pricing compare to say Kato and Tomix? I'd say its arguably better. The price itself tends to be slightly more but for the details I think its pretty fair. The locomotives tend to be around $100 (USD) each while the coaches are around $20-30, and the freight cars around $15. They are less robust as compared to kato or tomix, but more detailed. For example the coaches have separate brake lines and roof vents, while the freight cars have brass ladders and grab irons, as well as separate brass brake systems all already installed. The minitown locomotives come with an 8 pin DCC socket with space for a sound decoder and speaker built in, which is a definite plus. Cheaper than European models for sure. 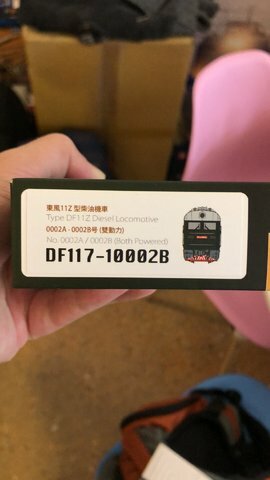 Some new (I haven't seen before) N scale offerings on Taobao. I found these using the search term "N 比例"
One or two others here, a little more expensive. The Kunter coaches are quite nice, I believe Railtunes has a few. 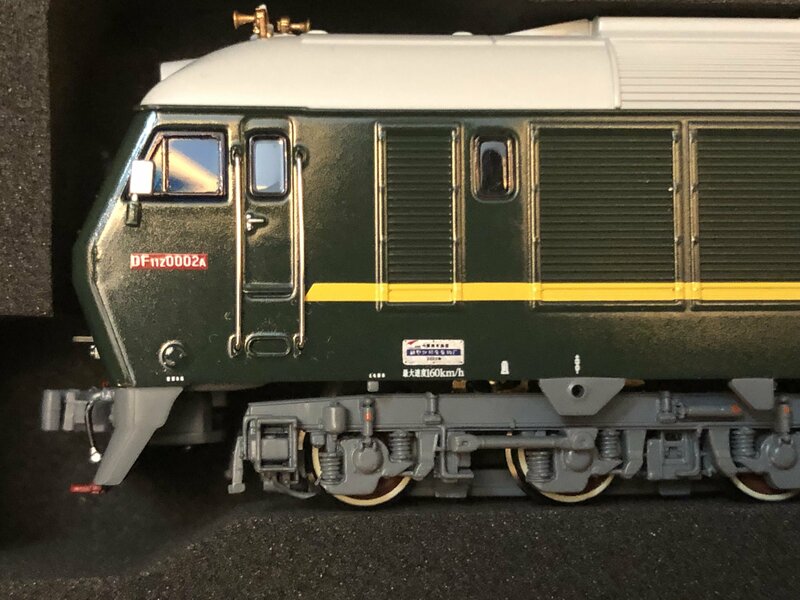 The DF4D is also a great loco, I managed to get one from someone in the US who was downsizing and selling off his unused foreign models. 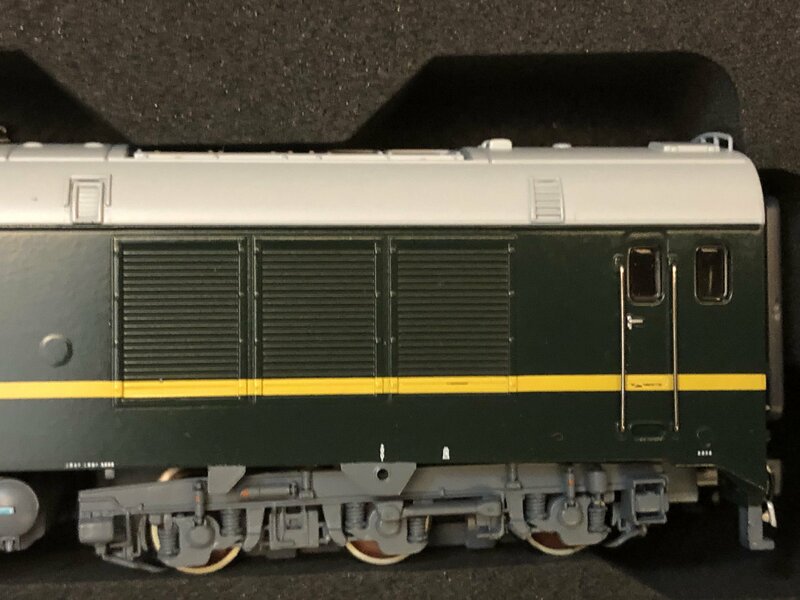 The DCC DF4b has some issues, the loco is great but the chip inside only barely conforms to the most basic of NMRA standards. I can run it at home but cant get it to work on the club layout. I'd recomend getting the DC version and converting it if you can. Now you too can model your own personal train of evrybody's favorite dictator Great Leader! Hello everyone, I am new to this forum and is based in Beijing, China. The China Hobby Expo was held on last weekend in Beijing and I was able to attend as I knew Minitown will release DF11z on Expo. 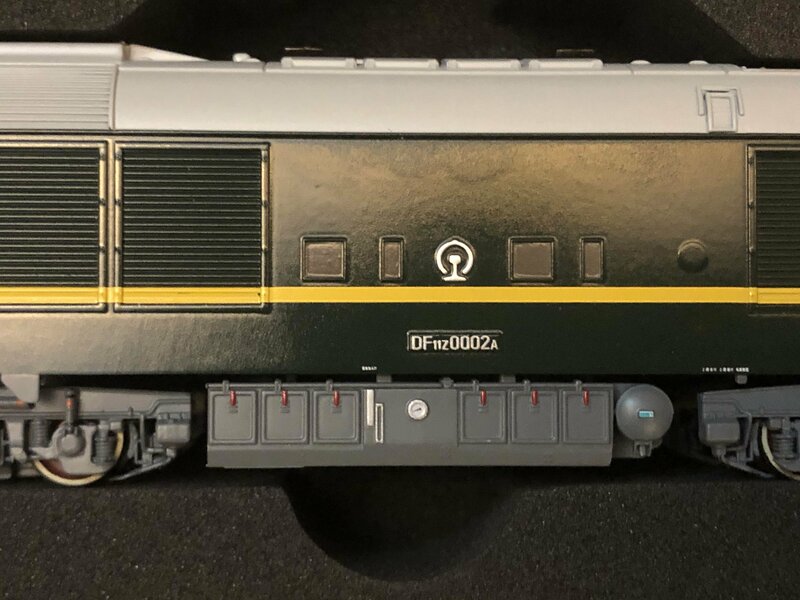 DF11z is a two trains set with both train motorised. I bought one in Expo and the staff says they will release more on Taobao probably at the end of April. The price is RMB 1168 (RMb 1100 in Expo as discount), approx USD 175. There are 6 numbers (No.1-No.6) series. The one I bought is no.2. 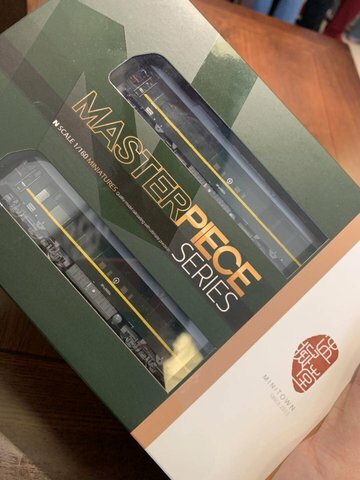 It is full of details and I think it is totally worth the price (although a bit more expensive than the J-train). Below are some pics to share. Welcome to the forum QZ! I've been waiting on the release of a DF11z for a while, glad to know its finally coming. It looks beautiful, I cant wait to get my hands on one.